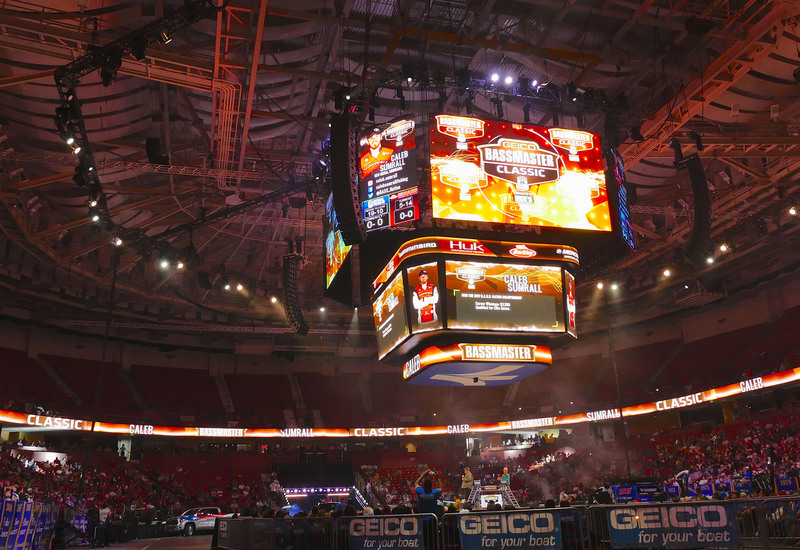 Ever since its inception on Lake Mead, Nevada back in 1971, the Bassmaster Classic has been more than just a fishing contest. 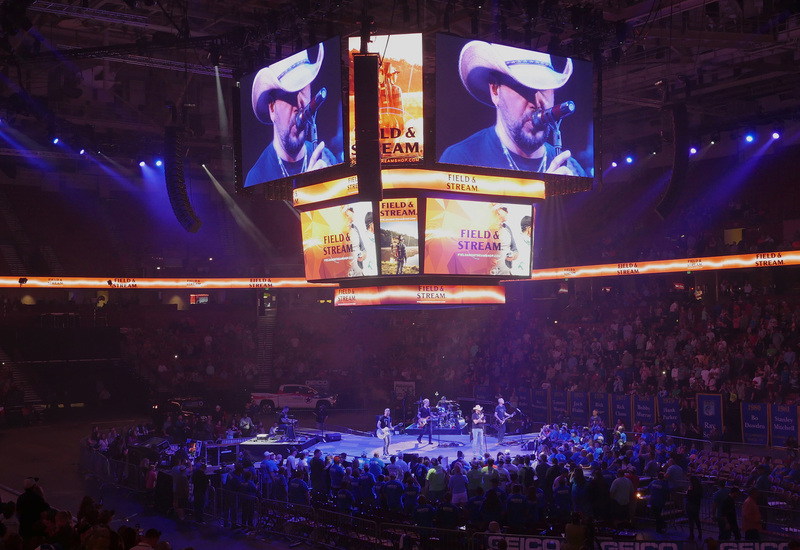 With live television coverage on ESPN, headlining country artists like Jason Aldean, and 40,000 bass fishing fanatics watching it all happen live, the Bassmaster Classic is more like a theatrical production. 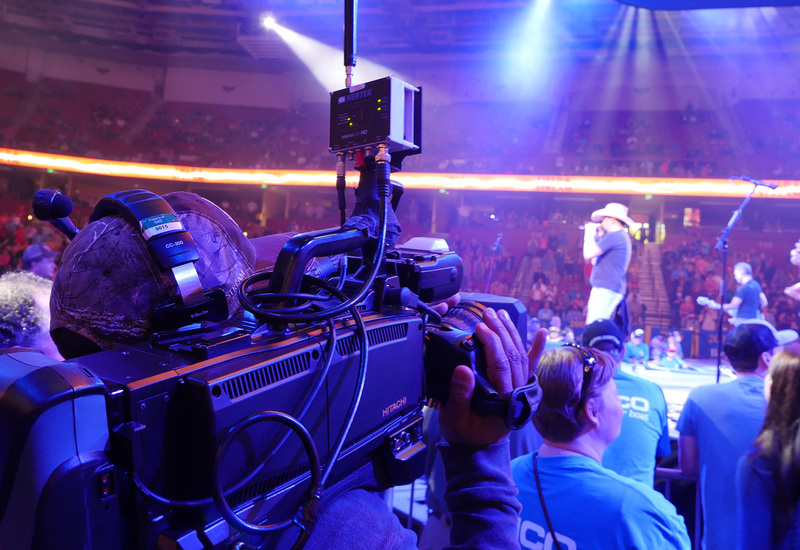 This year, Upstage Video upgraded an existing center-hung video screen at the Bon Secours Wellness Center in Greenville, South Carolina by flying a halo of 8 screens overhead comprised of 488 ROE MC-7 LED tiles driven by 2 disguise 2x4 pro media servers.